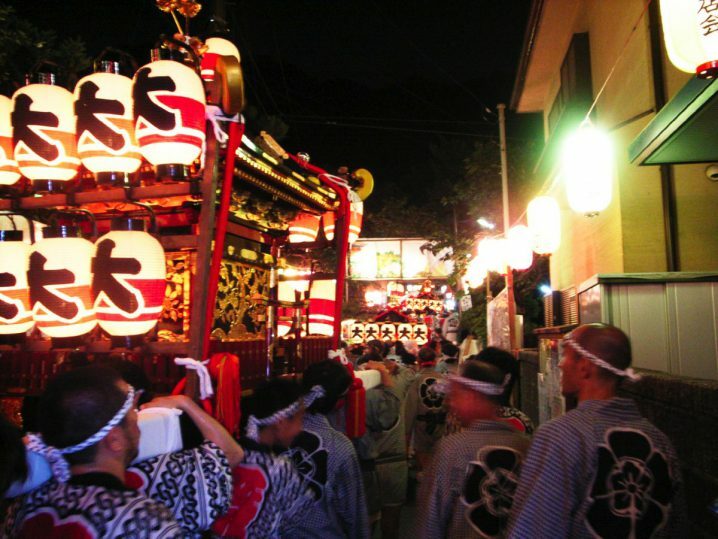 Yakumo Shrine example festival is a festival to be held in Kamakura City, Kanagawa Prefecture. 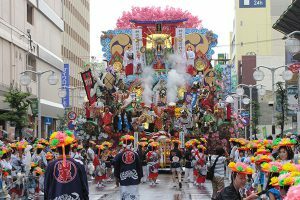 Since Yakumo Shrine is settled in Omachi, it is sometimes called Oomachi Festival. 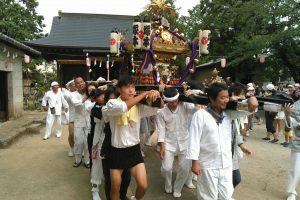 From the local people Yakumo san, Susao Nobuo Because life is the main god of god, it is familiar with Tenno. 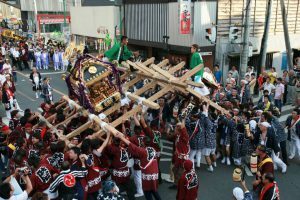 At that time Kamakura was prevalent in the epidemic, and because it does not increase the number of deceased further, it is the foundation of Yakumojin shrine that Yoshimitsu Yoshimoto recommended Kyoto Gion Shrine during the year of Kenpo. The current shrine was rebuilt in 1930, and in 1923 seven years ago, the shrine was collapsed due to the Great Kanto Earthquake. 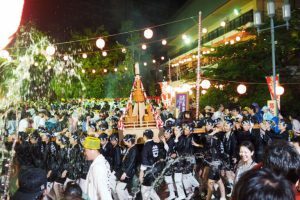 Well, the Yakumo Shrine example festival is held over three days, and early in the morning, Mrs. Msuko will take Honda warra in the shrine to take it to the ocean of Taki. 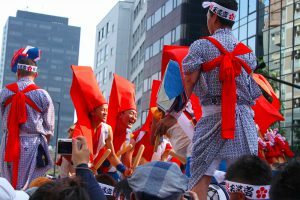 Honda wara is a type of seaweed and it is considered to be a congratulatory lucky. 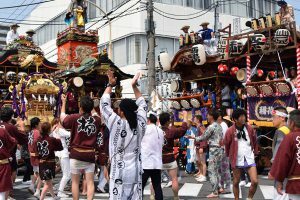 From the afternoon Shinko festival shikigami passed away. 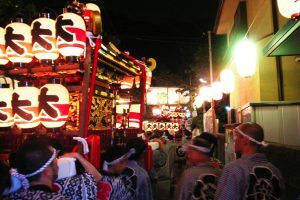 At the beginning there are 4 musicians, a big drum, and a pair of high-tension lanterns, including four monkey Takahiko and a mikoshi. 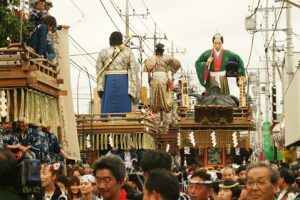 A mikoshi with a red decorative string is brilliant is a tradition that carries only men in the form of a hat in a white stick. 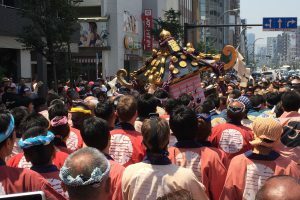 If you are lucky in the middle of the transfer, you will be able to see the Mikoshi Noguri. 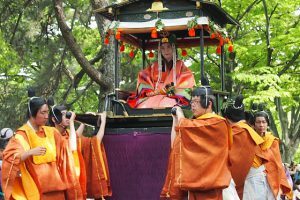 It is a practice to embrace children under 1 year old and wish for the healthy growth of children under the shrine. 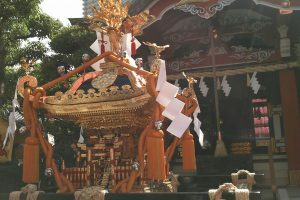 On the evening where the ceremony passed, the first time in the shrine is showed off. Four shrine mushrooms are lined up side by side around Omachi four squares, which is a scenery where the mind is washed, despite its power. 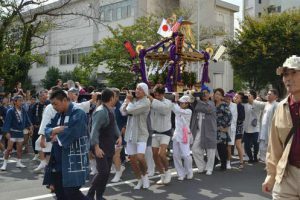 For the first time in this mikoshi, all the participants exhale the troubles and it is a wonderful event that brings happiness, so why do not you join us?